The other day, Eliza Faith asked about track changes and how to go about using/getting rid of them, so I've written up a quick tutorial. This should give you the basic gist of everything. If there are any questions, please ask in the comments! 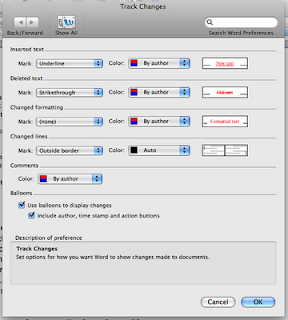 If you’ve been around publishing for any length of time, you’ve probably come across Word’s Track Changes feature. It’s those little bubbles that show up in your pages when someone edits them to leave you comments and suggest changes. 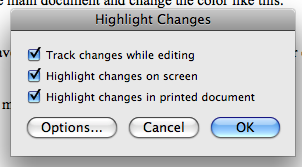 But then the author would have to go through and manually delete every letter or change the colors back to black. With track changes, you can make this process a ton easier. But how do you use the track changes feature? Let’s get started. 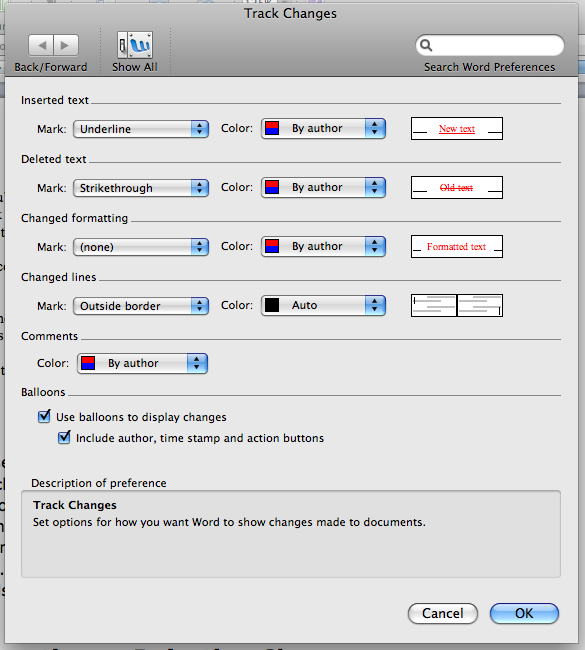 This tutorial is for Word 2008 for Mac. Other programs/versions use track changes as well but the instruction will be different/look a little different. You should be able to figure it out by looking through the menus. First, open Word. You can start with a blank document to play around in, or open something you’ve already got words in. Save an extra copy to work with this first time, just in case. Ok, so we’ve got our open documents, yeah? Go to the menubar and choose Tools > Track Changes > Highlight Changes. A small menu should then pop up. You can go right to making the changes from here by clicking OK, or you can set up how you want the track changes to look by clicking OPTIONS. In options, you can set the color you want your changes to be in, or just let the computer pick. I like having the computer pick because then I’m always surprised by what colors pop up. It’s favorites seem to be red, blue, and green. I think I like blue the best. After all, if you’re getting your MS torn apart by an editor, a nice calming blue sounds like a good idea, yeah? Red’s just a bit too harsh. If you’re working with a document that several people have worked on, you’ll see a rainbow of colors, each commenter with their own color. It’s awful pretty. Anyway, once you’ve picked your colors and all that, click OK on that pane and then OK on the smaller one. This new menu gives us several options. The first drop down box shows us the different ways to display the changes. Say you’ve got a TON of comments and changes and you just want to see what the final document looks like, you’d choose that drop down menu to pick which display you want to see. Maybe there’s a ton of smaller changes, but you just want to see the comments that your editor has left for you. In that case, choose the Show drop down just next to the big one. 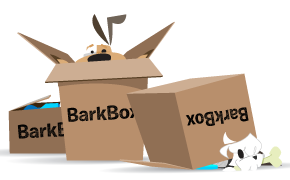 This lets you pick which things you want to display, from comments, to formatting issues, to inserts and deletions. If the line is checked, you’ll see those things. To turn those off, click them and the check mark (and the one you clicked) will go away. To turn them back on, choose it again. Also, in the Show drop down, you can choose to show only the comments by certain reviewers. This should be slightly shaded to tell you that it’s on. If it’s not, just click it once. Now, make a change in your document, say, add a line somewhere. See how it turned red (or whatever color you've picked)? Also, notice the thin vertical line in the margin? That lets you know that there’s an insertion there, as we don’t get a bubble that pops up telling us there’s a change. To get a bubble, try taking something away now. See that bubble there? That shows you what’s been deleted. Don’t worry if it’s another color. You can also get a bubble by inserting a comment. These don’t change the text, but allow you to comment on something or bring attention to it. Insert a comment by highlighting what you want to comment on and clicking the New Comment button in the menubar. You can then type text in the comment bubble. Don’t worry if you click off the bubble or make a mistake. Just click back on it and make your changes/comments. You can also double up your comment bubbles by highlighting an already commented on passage. This helps if you need to make two different points on the same chunk of text but still allows the author to accept/reject one or the other when the issue is addressed. Do you see those checkmarks and/or X’s in the right hand corner of the bubbles? Those are for accepting or rejecting the comments/changes. If you click the checkmark, Word will accept your changes and the bubble will go away. If you click the X, Word will undo whatever changes the bubble was for, or it will dismiss a comment bubble. If you insert too many bubbles, your bubbles are truncated with a white […] and the rest of the bubble is shown in the Reviewing Pane. To show or hide the Reviewing Pane at any time, click the icon on the far right. Just a note, this is the bit that makes my version of Word crash the most, the moving of the Pane. I recommend saving quite frequently. I usually save after EACH PAGE when heavily editing large documents. I’ve lost too much work in the wee hours of the morning to not save. When you get a document back with all those bubbles, it can be overwhelming. This is the time to use those other icons in the menu. The first is Previous button. Wherever you are in your document, it’ll instantly take you to the comment bubble before the one you’re currently at. Likewise, the Next icon will take you to the next one. This is handy for when there are pages and pages between bubbles and you don’t want to have to scroll and hunt for the next/previous one. The next icon, the one with the green check, will accept a comment or change that you’re currently working on. If you also click the drop down beside it, you can accept ALL the changes in the document at once. Alternatively, the one with the red X will reject a single bubble or change, or reject them ALL. Before you send a file off to an agent/editor and you don’t want them to see the tracked changes, just shutting the feature off won’t cut it. You have to ACCEPT all the changes (that green checkmark icon, click the drop down and APPROVE ALL). It’s handy to save a new copy and accept all of the changes there and then you’ve still got your notes in the other copy if you need them. Great post, Cassandra. I couldn't live without track changes. Well, maybe that's an exaggeration. :) My crit partners and I use it for critting, my agent uses it for editing, and I sometimes use it myself to leaves notes. Great tool. I don't know where I would be without this feature in Word. It is the only word processing software I use for all of my MSS.